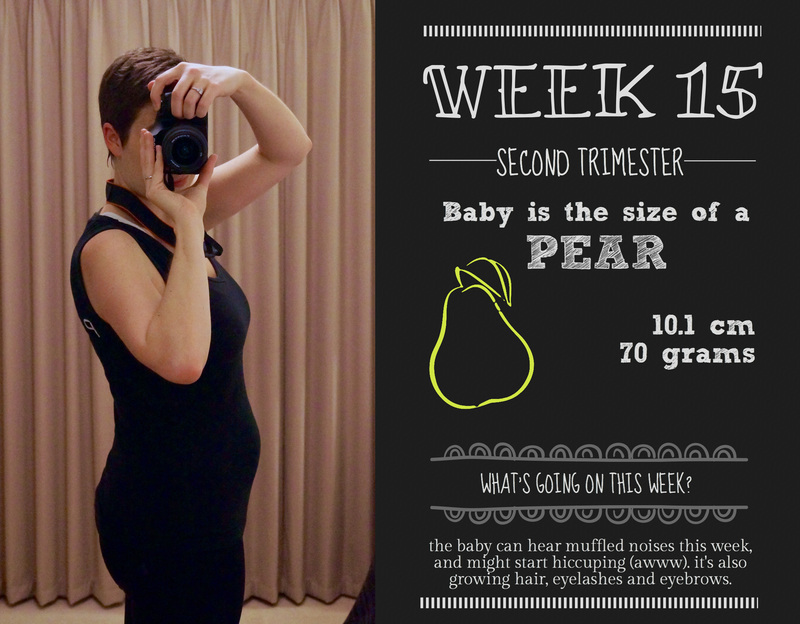 Baby: A pear – apparently we’re moving away from the spherical fruits now (although they come back with a vengeance later! ), and moving into odd shaped ones. That’s ok, I’m a bit odd shaped at the moment too. What I’m cooking: A rapidly expanding bun! Grub is growing hair this week, and is apparently hiccuping, just like his/her Mummy right now. Main symptom: More headaches – fun! Also, thanks to the iron supplement, I’m finding myself a little, um, blocked. Trying to up the fibre intake to assist with this one. Well haven’t I been slack? I humbly apologise for my absence, unfortunately school is ramping up until the end of term/semester, so it’s guns blazing for the next few weeks, and thoughts of anything else seem laughable. On the plus side, I finally made it to a prenatal yoga class this week! It was lovely, and really very relaxing. Lots of chatting with other preggies, some gentle exercises (that still made my muscles shake like crazy! ), lots of breathing, and that wonderful lying down bit at the end, in which I promptly fell asleep. Like I said, relaxing. I’ve vowed to go each week now, and try to do at least one session using my iPad at home as well. I’m trying out Beautiful Belly, which is a little buggy, but great when it works. That said, I was meant to do a workout tonight, and instead I ate spicy noodles. They were awesome. I’m starting to feel what I think might be baby movement – three times so far this week I’ve had this strong, rapid-fire muscle twitch down in my pelvis. It only lasts for 3 or 4 seconds, but it’s very different to anything else I’ve been feeling, and I’m wondering if this is perhaps the start of the kicking?? It’s very exciting, and I can’t wait to feel it and know it’s for real. What else? I’m back to cravings, this time it’s spicy stuff – I’m dousing my food in chilli, hot mustard, whatever I can find. The heartburn is building to match, but it’s worth it! Yum. Otherwise, business as usual. The bump seems to be more solid now, and I have fewer no-bump days, but I still don’t feel like I’m out and proud just yet. On the plus side, I’m apparently now going to be sharing my pregnancy with one Kim Kardashian (mega groan), why couldn’t it have been Emma Stone or Natalie Portman? Someone with the hint of a brain? Oh well. KK it is.